My last week in Istanbul was truly magical. I was impressed by the kindness and friendliness of the Turkish people and how wonderful and vibrant the city is. Shopping was a hell of a lot of fun. 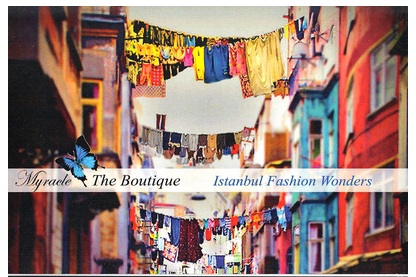 If you are based in Zurich and would like to experience some Istanbul fashion wonders, I recommend the newly opened shop Myracle – The Boutique (Freyastr. 21, 8004 Zürich). Meryem Yalcinöz, who is Swiss with Turkish roots, carries yound Turkish designers as well as established brands like Machka and Ipekyol. Some of the shoes and jewelry pieces are even exclusively made for Myracle. In case that I have whetted your appetite for a trip to Istanbul, Meryem also offers customized concierge services, from hotel recommendations to insider tips concerning dining and nightlife. With her help, you can experience the city like a local.